888 bingo uses all the basic fundamentals that other bingo sites have, but has some extra cool features to keep players coming back for more! When choosing a bingo site you need to take into account a few things. It needs to be functional and not crash on a regular basis. They need to offer the players the games they want, be easy to cash in and cash out and of course, and have some awesome bonuses. The main thing about this site, is that it makes people wanting to come back, and how easy it is to get online and play. If players do not want to download the software, then they do not have to. Instead of using the software based game, they can use the on site flash based game! If you are shopping around at places to play, simply for the bonuses, then this is a great place to start. 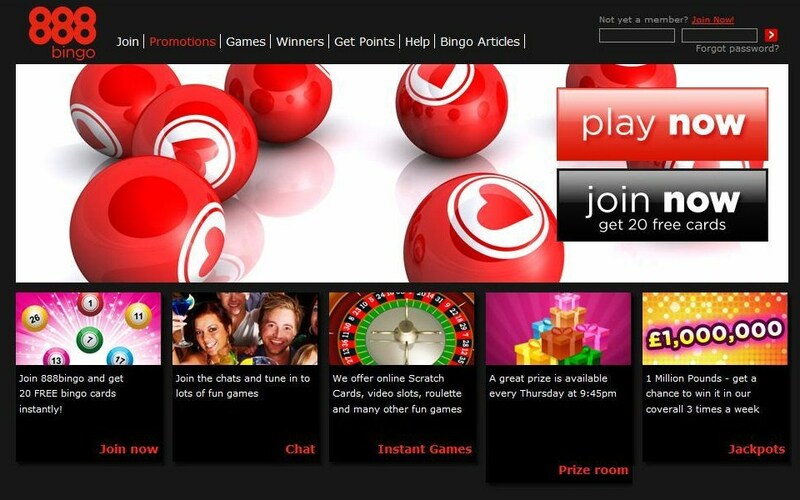 At the moment, 888 Bingo are offering 20 free bingo cards. Simply register an account and instantly contact customer services with all your contact details, along with your 888 bingo account details and they will be sent to you. Weekly withdrawals start on a Wednesday. The minimum cash out is £50, whilst the largest is £1,000. Of course, the weekly cash out could be a problem for some people, as by the time Wednesday comes around, they might have already spent their winnings. The bingo room offers the standard games like 75 ball and 90 ball bingo, but that is not all. 888 Bingo also offers the likes of Slot Machines, Keno Games, Video Poker, Pull Tabs, and Casino Games like Black Jack and Craps. This is more like a full on casino rather than just a bingo room, so there are plenty of games to choose from. So go ahead, and play bingo! Hi I was just dropping by from the Wed blog hop. Please follow me back to www.couponcougar.blogspot.com. I love the name of your blog.